With the holiday season upon us traditional desserts are popping up everyone. 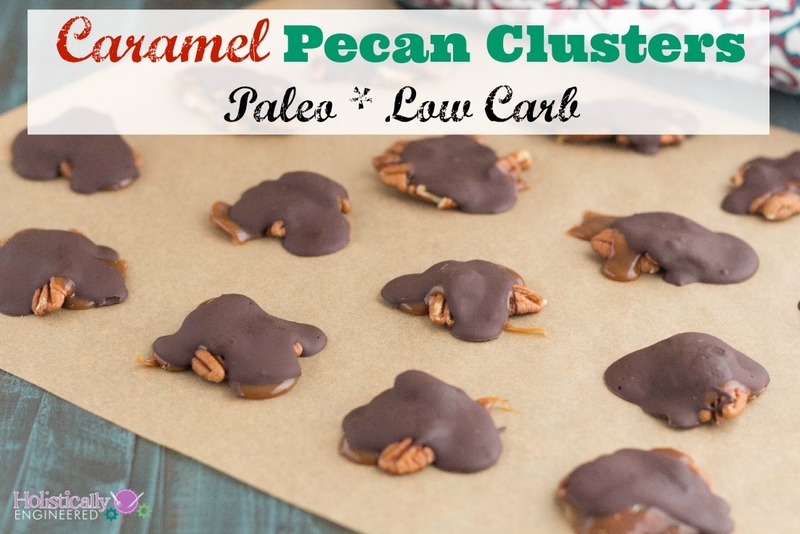 Caramel Pecan Clusters (aka Turtles) are very popular during the holidays, but it’s one dessert I haven’t had in awhile. I decided to create a paleo version to share with my family so that they can realize that healthy doesn’t have to be tasteless. 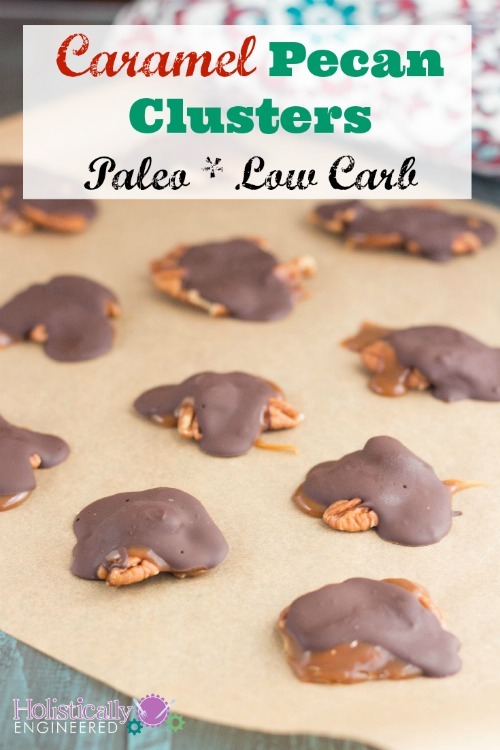 These Caramel Pecan Cluster (Turtles) are soooo good! And the caramel sauce is very versatile and can be used in other recipes. Just save any extra in a mason jar and reheat if needed (you may need to add a little water to get it to the original consistency). The caramel sauce uses coconut sugar, which is low glycemic and for me it doesn’t spike my blood sugar like honey does. 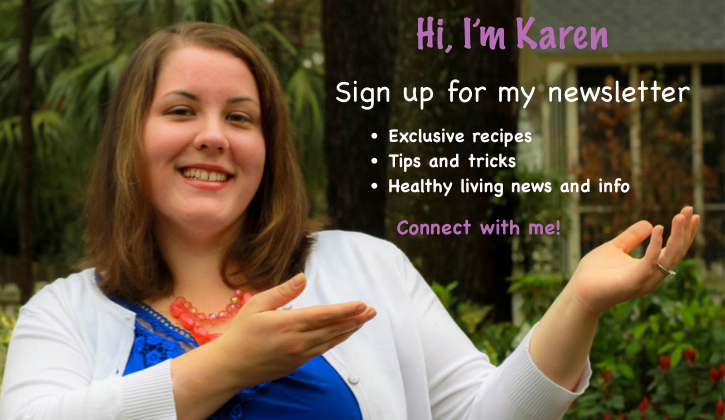 I totally understand that for some people they have to be super careful about what spikes their blood sugar so I’ve included a link to a low carb recipe so you can still enjoy a tasty treat this holiday season. Line two cookie sheets with a silpat (get a silpat here) or parchment paper. Group the pecans in clusters of about 3-4 pieces. In a medium saucepan over medium-high heat, add the water and coconut sugar and bring to a boil. Reduce heat to medium, add the coconut milk and salt. Stir continuously for about 15-20 minutes or until the mixture thickens and darkens in color (very frequent stirring keeps the coconut sugar from burning). Place the chocolate and coconut oil in the bowl of a double boiler over medium low heat. Spoon about 1 tsp of the chocolate mixture over the caramel. Refrigerate until hardened (about 30 minutes).